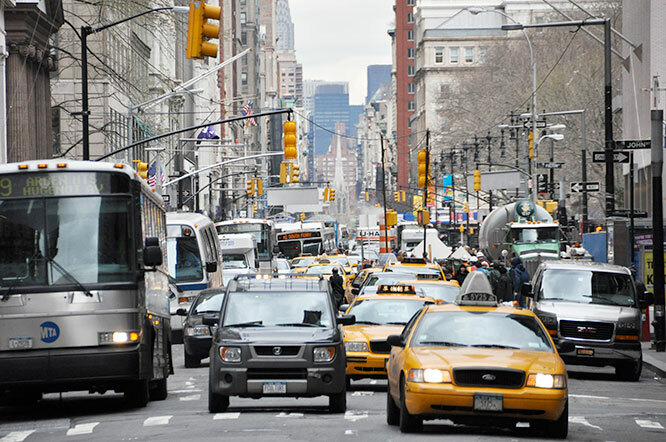 How does this new plan affect the M55 bus that already has to crawl down Broadway, past FiDi and around the Custom House to travel up Church St. It is almost always late. Please please don’t do anything that slows down the only way many of us have to get to work! A rendering of how Bowling Green Park could be expanded if part of Broadway were given over to pedestrians. 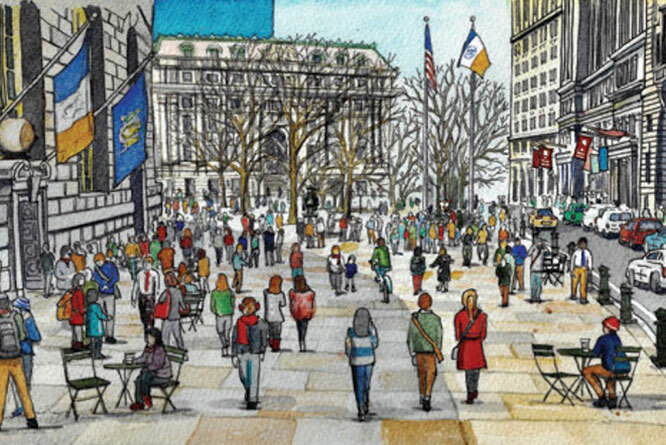 The Financial District Neighborhood Association is proposing to reclaim a large swath of Lower Manhattan’s streetscape for pedestrians with a program that would widen sidewalks, take down construction scaffolds, put trash in its place, decrease traffic, exile parking, and create new public plazas.